ran HS "Scan & Repair"
in module Hearthstone.exe at 0023:018df157. 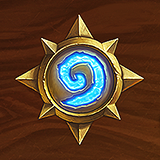 C:\Program Files (x86)\Hearthstone\Hearthstone.exe, run by vorph. 0 MB user address space [3722 MB free]. 0x006ff248: 00005853 00000000 00001003 01f72390 SX...........#..
0x006ff268: 00000000 00000010 00000001 006ff2e0 ..............o. 0x006ff288: 006ff548 006ff424 04588634 03b53710 H.o.$.o.4.X..7..
0x006ff2b8: 075315b4 00000000 074b036c 074ed71c ..S.....l.K...N.
0x006ff2c8: 00000001 073a3650 073a7238 0747e500 ....P6:.8r:...G.
0x006ff2f8: 00000006 045885e0 0056004e 00440049 ......X.N.V.I.D. 0x006ff308: 00410049 00470020 00460065 0072006f I.A. .G.e.F.o.r. 0x006ff318: 00650063 004d0020 00310058 00300035 c.e. .M.X.1.5.0. 0x006ff418: 84042000 00019f50 00000000 0056004e . ..P.......N.V.
0x006ff428: 00440049 00410049 00470020 00460065 I.D.I.A. .G.e.F. 0x006ff438: 0072006f 00650063 004d0020 00310058 o.r.c.e. .M.X.1. 0x006ff548: 00000010 00000010 020ec3c0 006ff58c ..............o. 0x006ff558: 0173bbbe 0000001b 00000010 04588638 ..s.........8.X. 0x006ff5a8: 03b7b4d0 020ec3c0 04588634 006ff5c8 ........4.X...o. 0x006ff5b8: 0173b1aa 03b7b4d0 00000006 045885e0 ..s...........X. 0x006ff5d8: 006ffbc4 012fb233 00000000 006ffb70 ..o.3./.....p.o. 0x006ff688: 00000004 00000000 03b5aa00 073bb76c ............l.;. 0x006ff698: 03b5aa00 002ffcb5 0056004e 00440049 ....../.N.V.I.D. 0x006ff6a8: 00410049 00470020 00460065 0072006f I.A. .G.e.F.o.r. 0x006ff6b8: 00650063 004d0020 00310058 00300035 c.e. .M.X.1.5.0. 0x006ff8a8: 821bca17 006ff8b4 64daf1b0 006ff8d8 ......o....d..o. 0x006ff938: 00000000 00098680 03b5aa00 020534c0 .............4..
0x006ff958: 0209d580 00000000 0056004e 00440049 ........N.V.I.D. 0x006ff968: 00410049 00470020 00460065 0072006f I.A. .G.e.F.o.r. 0x006ff978: 00650063 004d0020 00310058 00300035 c.e. .M.X.1.5.0. 0x006ff9e8: 00000000 00000000 00000000 0056004e ............N.V.
0x006ff9f8: 00440049 00410049 00470020 00460065 I.D.I.A. .G.e.F. 0x006ffa08: 0072006f 00650063 004d0020 00310058 o.r.c.e. .M.X.1. 0x006ffb18: 006ffb40 64d8cb87 073bb314 073bb30c @.o....d..;...;. 0x006ffb48: 0000001a 00000042 006ffb88 0173bbbe ....B.....o...s.
0x006ffbb8: 00000006 43000000 002fd283 006ffbe0 .......C../...o. 0x006ffbd8: fc080100 046ec6e0 006ffc08 01343a16 ......n...o..:4. 0x006ffc18: 00000000 00000001 038dd301 00b639a7 .............9..
0x006ffc38: 00000000 038dd300 018dc609 006ffed0 ..............o. 0x006ffc78: 014581e2 0407df00 00f28fe8 006ffcd8 ..E...........o. 0x006ffd38: 000806ea 00000042 00000042 03b53c10 ....B...B....<..
0x006ffd88: 00000006 039f1b70 039f05a8 006ffd00 ....p.........o. 0x006ffda8: 0000000f 00000038 00000042 00406000 ....8...B....`@. 0x006ffe28: 02068520 038dd3e0 00000000 00406001 ............`@. 0x006ffe68: 1dae9541 018df867 018df867 00406000 A...g...g....`@. 0x006ffe78: 00000044 000927da 000927ba 00092754 D....'...'..T'..
0x006ffee8: 00406000 737d8460 3c2b94d1 006fff3c .`@.`.}s..+<<.o. 0x006fff18: 006febdc 759a5b50 9b9e1574 006fff00 ..o.P[.ut.....o. Security programs can often cause these 0xc0000005 errors. If you have any of those, make sure to add Hearthstone as an exception, and run the Blizzard app as Admin. It looks like the Nvidia driver is showing up a lot in the crash log, so it's possible that there's some corrupted driver files even though it's updated. You may want to try doing a clean driver install by using DDU. You can find a guide for using this software here. After the driver has been removed, download the latest driver by going here.